EA SPORTS UFC 3 also introduces the new G.O.A.T. Career Mode where – for the first time – the choices made throughout your career impact your path to greatness. Outside of fights, players will make promotional choices to build hype, gain fans, earn more cash through big contracts and capture the world’s attention. Building on the fan-favorite Knockout Mode introduced in EA SPORTS UFC 2, EA SPORTS UFC 3 delivers a new suite of multiplayer modes designed for fast, fun fights that are perfect for letting fists fly when playing against friends, now with commentary from the one and only Snoop Dogg. Those looking for a quick social experience can jump into Stand & Bang mode, Submission Showdown mode, and the all-new Tournament mode, which offers ultimate bragging rights as players attempt to take on as many opponents as possible in bracket-style elimination rounds with continuous damage and fatigue. EA SPORTS UFC 3 is available now for Xbox One and PlayStation®4. 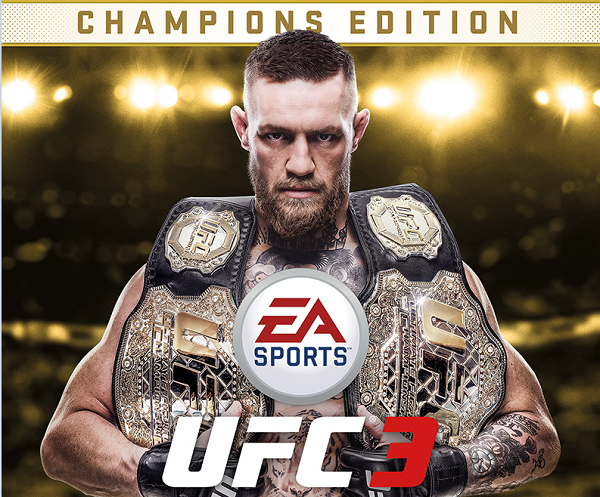 To learn more about EA SPORTS UFC 3 visit https://www.ea.com/games/ufc/ufc-3. Previous It’s Groundhog Day – Here we go……. Conor vs Mayweather again??? ?